PORTLAND, Ore. – If the challenge of mounting auxiliary lighting on your UTV has you puzzled, think again. PIAA has a solution. PIAA Corporation, the world leader in Powersports lighting, has introduced a new UTV Light Bar that can mount up to four 8-inch PIAA lamps – HID or halogen – atop a UTV, including such popular models as the Polaris Ranger and RZR, Kawasaki Tyrex, and Yamaha Rhino, announced PIAA Powersports Vice President Gordon Robertson. Typical of PIAA products, the PIAA UTV Light Bar showcases the concept of form following function. It is constructed from a single length of 1-inch diameter cold-rolled steel tubing (shaped via computer-controlled tube bender). A single TIG-weld joint insures strenth; the power-coat finish assures durability. 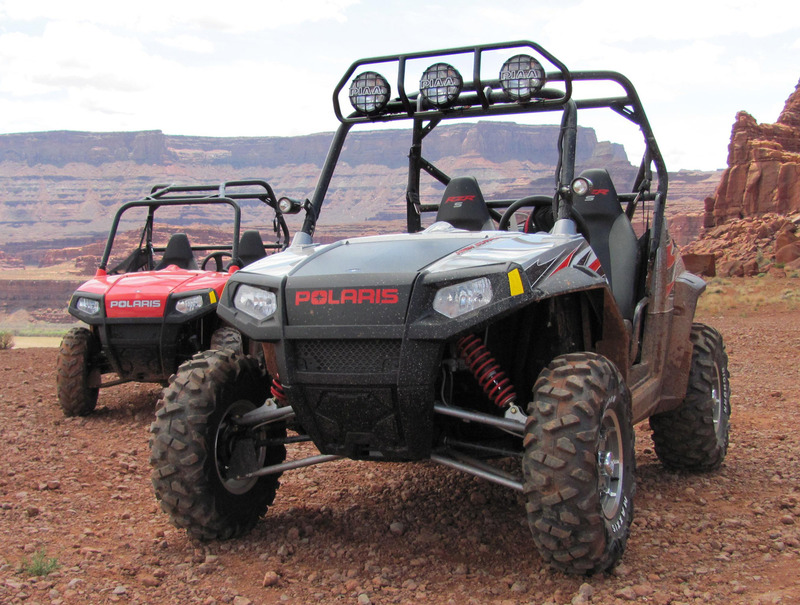 PIAA engineers also made installation easy: The assembly is conveniently wired and terminated to fit PIAA Powersports lamps, using marine-grade 14-gauge wire and soldered connections, each protected with heat shrink tubing. Lamp attachment is equally well-thought out: Billet aluminum brackets provide easy mounting and adjustment of any PIAA lamps up to 9-inches in diameter. The PIAA Light Bar will accommodate four 8-inch round lamps for Ranger, Tyrex, Rhino applications, and three 8-inch lamps on the RZR. The PIAA UTV Light Bar has an MSRP of $449.98. PIAA has been the acknowledged leader in innovative automotive products since its founding in 1963. PIAA products, created in PIAA’s Technical Design Center in Japan, are known for their visionary design, inspired engineering and quality components.